GOSH!ABOUT: GOING ON VACATION !!! – GOSH!About: Fashion. Art. Music. Events. TV. Non Profits 'N' Lifestyle > Subscribe now! 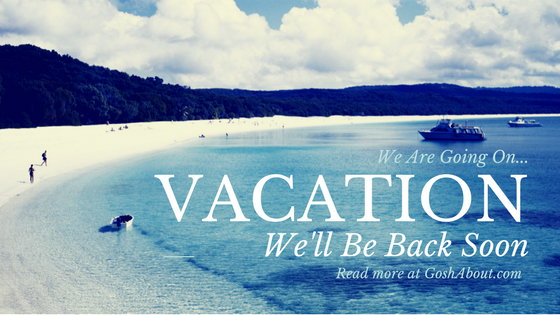 We are closing GOSH!ABOUT PUBLICATIONS for a few weeks as we are going on vacation, but also creating new stories and articles that you will definitely enjoy. Lookout for our Coming Back post in a few weeks. Thank you so much for your continued support as we grow, expand and rise. Have an awesome Summer Vaca !! !